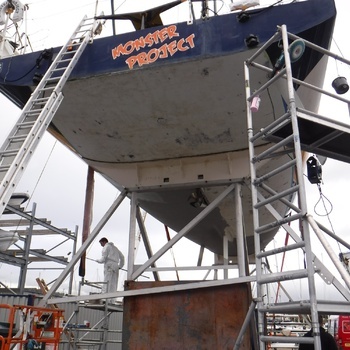 New Vessel antifouling.Although this would seem simple task the fact is if you don't follow the correct procedure there is always a chance the antifouling could come away from the hull the following year and you will have to start again. We have a well experienced and skilful team to take all of those fears away. 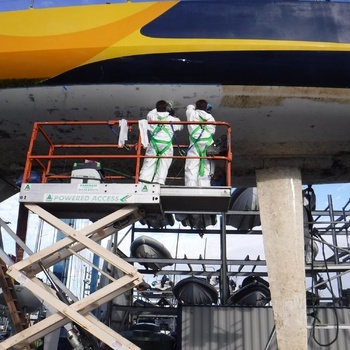 Having antifouled all types of boats since the mid-80s we can assess where the waterline should go tape up the waterline and all the skin fittings, remove bow thruster props, key the bottom, degrease, prime and antifoul within a very short time, this is due to the experience within the team. 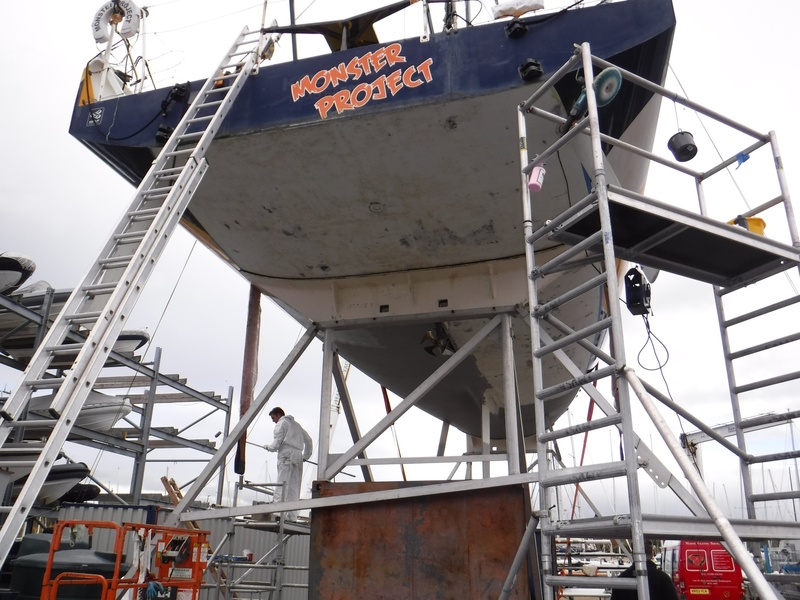 Used Vessel AntifoulingMost will require the antifouling be taken right back to the primer at some point. This is more evident when a boat is not being sanded back every year throughout its life and the antifouling has built up in layers, Signs of this is if you can see the antifouling flaking or if you look closely you may see crazing. We give a full quote prior to starting but in order to give a quote and not an estimate we would need to do a test patch. This way we can calculate our time and more importantly your bill, no one likes surprises especially me. Copper coating We have been applying copper coat applications for many years now since the 80s, so we are able to apply this product with confidence. 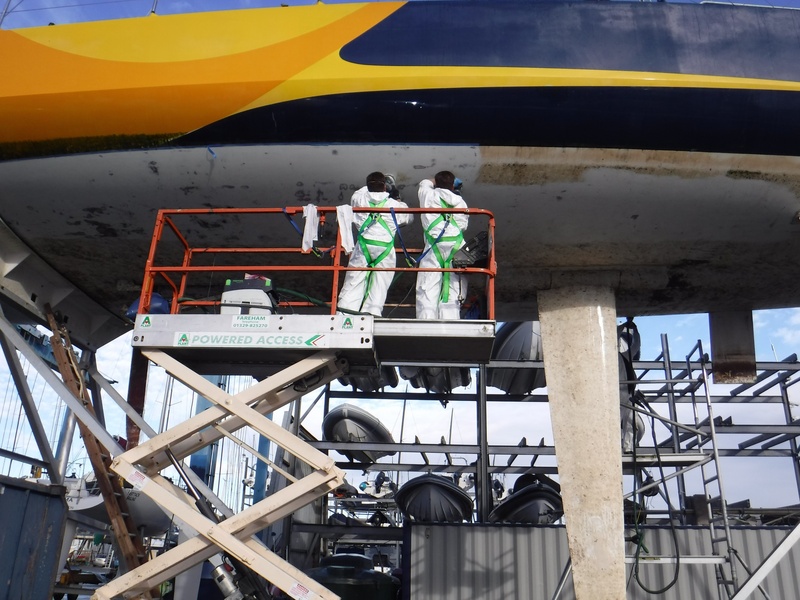 Unless you have a bare hull or an epoxy finish any previous applied applications will need to be removed . We can undertake all of the removal and give you a comprehensive quotation for all of the work to remove the previous applications and supply and reapply the copper coat. Weather can be a factor in application schedules but tenting or internal shed storage can be the solution for our wetter months. Propeller and under gear burishing. 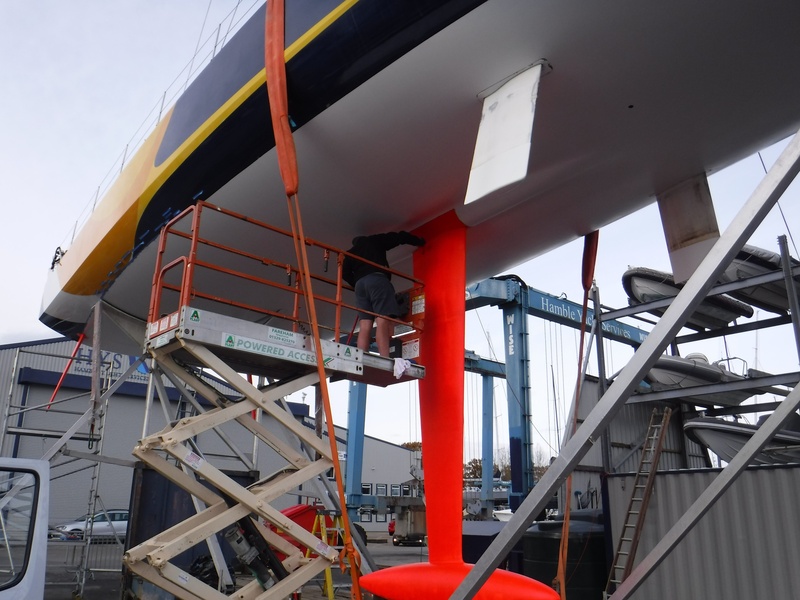 Propellas, rudders, P Brackets, shafts and Twin tabs all suffer with marine growth and a form of calcium build-up, either from the water or from the natural marine life such as barnicles, tube worm and all other marine crustations that want to make your boat home. This will reduce performance and of course cost you more to get the same performance as you will need to push the engines harder to get the same speed you were previously achieving. We have the tools and the experience to remove this problem for you, hassle free. We would give you a fixed cost all inclusive of labour and parts. If you consider trying this for yourself, Please be very careful always wear eye protection ALWAYS. glasses are not sufficient. 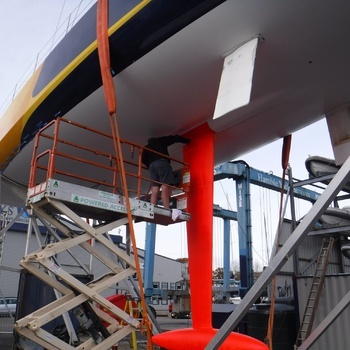 Outdrive units Antifouling Outdrives units IPS and Saildrives all require upkeep at least once a year . It is very important to have them serviced, remove old anodes and fit new ones ,even if the old ones look ok change them. 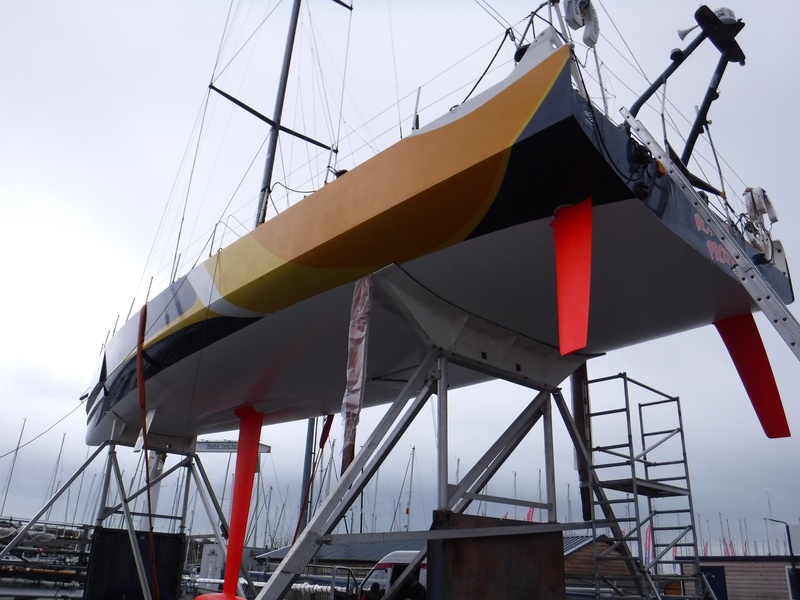 They will also need cleaning, preping, priming and Antifouling. 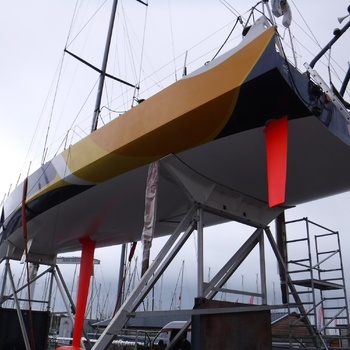 The antifoul and primer for this is not the same as hull antifoul. Outdrive paints and prime should be used. We can carry out this service and as always we will give you a fixed cost, We can tell you what anodes we can change but some onodes are changed in your engine service. Burnishing of the props will be the same as the above article.